Last updated 29 November 2006. 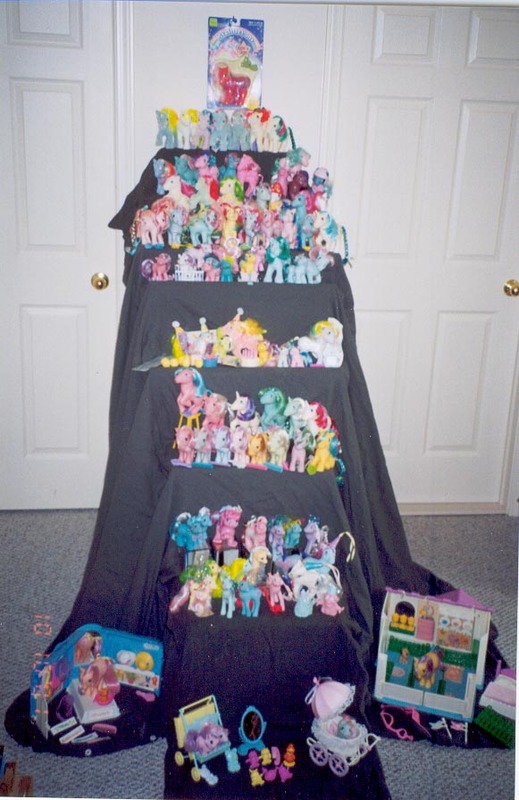 Welcome to a memorial shrine for my collection of My Little Ponies. I began collecting in 1983. In 2002, I sold them all. I wanted a record of the ponies to keep their memory alive... so here it is. 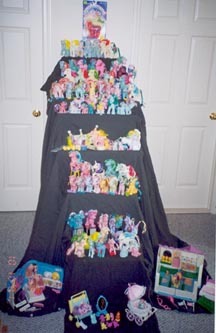 Update: In 2006, I began collecting G3 ponies again. I'll have pics someday. Photos of pony wear (pony clothes), modeled by ponies. My collection of pony brochures. Scans of the stories from backcards of some of my ponies, and many of the original backcards. My own history with MLP. A MLP fanfic story I wrote in 1988 (romantic, but PG).